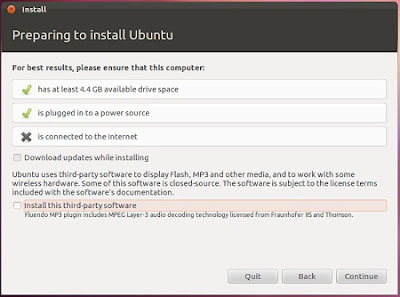 How to install Ubuntu12.04 within Windows 7? Hi, i have been using Windows 7 Ultimate Version in my Dell Laptop. I wanted to install Ubuntu 12.04 in my Laptop. I wanted to have Dual-booting of both Windows and Ubuntu. Can i start my installation within Windows 7 or should i install it by booting the Dvd? Is it okay to install Windows 7 Professional in Netbooks? 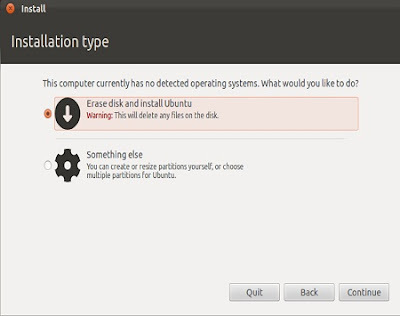 Re: How to install Ubuntu12.04 within Windows 7? You can follow this link for complete information because its a very lengthy procedure which is not possible to clear now. 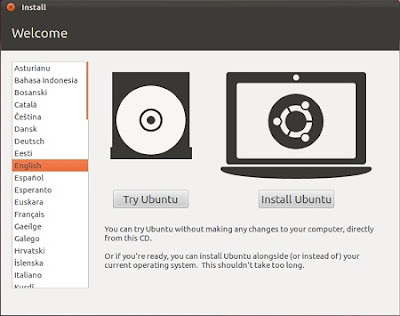 to install ubuntu along with windows take the following steps. First backup all datas for further use and security. You may need to have a physical recovery/re-installation CD or DVD. Once you have created a physical backup disc from a restore-image partition on the hard-drive, the restore-image partition can either be removed or left in place. Ubuntu can be installed with it intact without problems. A Windows OS should be installed first, because its bootloader is very particular and the installer tends to overwrite the entire hard drive, wiping out any data stored on it. If Windows isn't already installed, install it first. If you are able to partition the drive prior to installing Windows, leave space for Ubuntu during the initial partitioning process. Then you won't have to resize your NTFS partition to make room for Ubuntu later. Download an Ubuntu LiveCD image (.iso) from Ubuntu Downloads and burn it to a disc. Insert LiveCD into your CD-ROM drive and reboot. If the computer does not boot from the CD, reboot and check your BIOS settings by pressing F2, F12, Delete, or ESC. Select "boot from CD". Proceed with installation until you are asked "How do you want to partition the disk?". If you have already partitioned the disk and left space for Ubuntu, install it to that and then follow these steps. Otherwise, choose one of the next two steps. Select option, which says "Install them side by side, choosing between them each startup". Specify size of the new partition by dragging the slider at the bottom of the window. Select "Manually edit partition table". Select the partition you want to resize and press Enter. Type in a new size in GB for partition, Recommended, you free at least 10 GB of space for your Ubuntu installation. Press Enter when changes are complete. Create a swap partition of at least your amount of RAM. 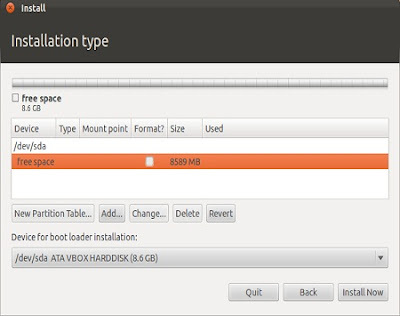 Create a partition for your Ubuntu installation. Select "Finish partitioning and write changes to disk". GRUB2 is the boot manager installed in Ubuntu by default. You can choose GRUB or Lilo instead. GRUB2, GRUB and Lilo are open source boot managers that install the main parts of the boot loaders inside Ubuntu. This means Ubuntu is independent and avoids any need for writing to other operating systems.what needs to be changed is a small code in the MBR (Master Boot Record) of the first hard disk. Presented will be a list of operating systems and you can choose one to boot. If you do nothing the first option will boot after a ten second countdown. Take those steps and enjoy the dual booting.